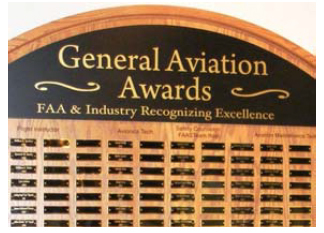 The FAA will present individual plaques to each National Honoree in July during EAA AirVenture 2016 in Oshkosh,Wisconsin, and their names will be added to the large perpetual plaque located in the lobby of the EAA AirVenture Museum. Also included in the prize packages for each National Honoree is an all-expenses-paid trip to Oshkosh to attend the awards presentation and other special GA Awards activities. Robert James Hepp of Fairfax Station, Virginia has been named the 2016 National Certificated Flight Instructor of the Year. Bob owns and operates Aviation Adventures LLC, the largest non-university Part 141 flight school in the Mid-Atlantic region, employing 46 airplanes (16 of them company-owned). Aviation Adventures operates from four Virginia airports: Leesburg Executive, Manassas Regional, Stafford Regional, and Warrenton-Faquier. Bob has been a pioneer in the use of simulators and advanced flight training devices, and has incorporated them into training programs. Each of Aviation Adventures’ four locations is outfitted with Redbird advanced aviation training devices, two of them full-motion. Recently, the school ordered two new all-electric two-place airplanes to help forge the path forward toward lower-cost flight training. Bob’s company established and operates the aviation program at George Mason University, and was selected by Liberty University as the first of now over 40 Flight Training Affiliates in its highly successful nationwide aviation program. Bob developed the Rusty Pilot Program and then worked with AOPA to bring that program to a nationwide audience of pilots. In recognition of Bob’s important contributions to the flight instruction community, AOPA presented him with its Outstanding Flight Instructor of the Year award in both 2013 and 2014. Bob’s school and instructors are repeat winners of AOPA’s Flight Training Excellence Awards. It can be truly said of Bob that he’s a CFI’s CFI. 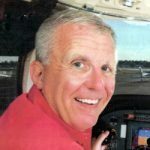 Despite his duties managing the business and overseeing nearly 50 instructors and staff at Aviation Adventures, Bob has remained a very active CFI for more than three decades with more than 14,000 hours of dual instruction given, providing instruction from pre-solo to CFI, ATP, and type ratings. During the past five years, Bob personally endorsed more than 150 pilots for certificates, ratings, type ratings and privileges. In addition, he flies about 220 hours/year as a contract pilot on Citation Jets, mostly single-pilot. He has flown more than 40 types of single-engine aircraft, 9 types of twins, light sport aircraft, and T-6 and P-51 warbirds. He holds ATP, CFI CFII, MEI, and AGI certificates, and type ratings for the Airbus 320, Citation 500 and 525S, and Jetstream 4100..
Bob founded the Manassas Airshow in 2009, and sponsors airshows at both Manassas and Leesburg airports. He also hosts or sponsors numerous other events to expose and educate the local communities of the benefits and opportunities in aviation, such as Women Can Fly, Flight Night, and airport tours. Bob received a B.S. degree in Computer Science from Bowling Green State University, and an MBA from Boston University. He graduated from the U.S. Army Command & General Staff College. He served in the Army for 21 years as a field artillery officer, retiring in 1998 with the rank of Lieutenant Colonel. In 1989, while still on active duty, he started Aviation Adventures with a single Cessna 172 and himself as its sole instructor. The rest is history. nightowl@aviationadventures.com. Adrian Allen Eichhorn of McClean, Virginia has been named the 2016 National Aviation Technician of the Year. Anytime he’s not flying Airbus 320s for JetBlue, you’ll probably find him in his hangar at Manassas Regional Airport working on a Bonanza..
Adrian inherited his intense passion for aviation from his father, a decorated U.S. Army pilot who served in both WWII and the Korean War. After graduating from Michigan Technical University with a degree in Civil Engineering, Adrian was commissioned in the Army hoping to follow in his dad’s footsteps as an Army aviator. The Army, however, had other ideas and Adrian embarked upon a distinguished but terrestrial 21-year career with the Corps of Engineers, retiring in 2000 as a Lieutenant Colonel. While stationed in Korea, he began flying lessons at a military flying club and then was transferred to San Francisco where he joined the Alameda Aero Club and earned his private, instrument, commercial, ATP, CFI, and AGI certificates and ratings. It was in San Francisco that Adrian first became interested in aviation maintenance, performing owner-assisted 100-hour inspections under the tutelage of an A&P mechanic who also happened to be one of his flight students. When the Army transferred him to a position on the Army Staff at the Pentagon, Adrian wound up purchasing a P35 Bonanza with which he has had a very hands-on love affair for nearly 30 years. He personally overhauled the aircraft’s Continental engine, installed a new avionics stack and interior and replaced most of the sheet metal on the wings and fuselage, earning his A&P and IA in the process. Adrian’s latest Bonanza project is a solo round-the-world flight, to be completed prior to AirVenture 2016. When Adrian retired from the Army in 2000, he took on a series of prestigious pilot jobs, including flying a Challenger 604 for the Washington Redskins, flying the Gulfstream IV “N1” for the FAA Administrator and Secretary of Transportation, and now flying the Airbus 320 for JetBlue Airways. He is also type rated in the Gulfstream II, III, 200, Cessna 560 Excel, and Aero Vodochody L39. His passion remains focused on piston GA maintenance, particularly Bonanza maintenance. As an active IA, Adrian conducts numerous owner-assisted annual inspections for other Bonanza and Baron owners, and has inspected and approved more than 60 major alterations and conducted over 40 pre-purchase inspections. He developed and obtained STCs for gear-mounted landing lights and wingtip recognition lights for Bonanzas, Debonairs, Barons and Travel Airs. Adrian’s track record of outreach to owners of Bonanzas and other GA airplanes is remarkable. He was the guiding light behind the maintenance training portion of the original Beechcraft Pilot Proficiency Program (now Beechcraft PIlot Training), providing maintenance instruction to more than 2,500 owners and pilots of Bonanzas, Debonairs and Barons in some 20 different venues throughout the United States. 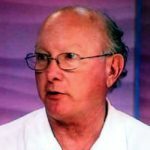 He has been a prolific author about GA maintenance, with more than 60 articles and features published in FAA Aviation News, Aviation Safety, and American Bonanza Society (ABS) Magazine. 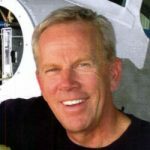 He is a frequent speaker on maintenance topics at numerous major general aviation events including EAA AirVenture, AOPA Expo/Summit and Regional Fly-Ins, The Ninety-Nines, and American Bonanza Society annual conventions. Adrian spent countless hours developing a high-definition Ultra-Scope engine inspection system that provides stunning, high-quality images of the inside of piston aircraft engine cylinders. He has Ultra-Scoped more than 160 engines, uncovering instances of potential problems or simply providing peace of mind to aircraft owners. Recognizing the importance of Adrian’s work, in 2014 the AOPA Air Safety Institute funded the development of a poster featuring photographs and descriptions of failing exhaust valves provided by Adrian. The poster was sent free of charge to thousands of maintenance shops and individuals to help them assess the health of their valves..
Adrian has served as an Aviation Safety Counselor and FAASTeam Representative for nearly 20 years, giving dozens of safety presentations at airports throughout the greater Washington DC area. He was honored as the National Aviation Safety Counselor of the Year in 2001. The Washington DC FSDO honored him in 2004 with its Superior Contribution to Safety award, and again in 2011 with its Flight Instructor of the Year award. adrian.eichhorn@mac.com. Richard Lawrence Martindell of San Diego, California has been named the 2016 National FAA Safety Team Representative of the Year. Rich is employed by King Schools as Vice President, Course Content and Experience. In this capacity, he works directly with the King Schools’ Professional Pilot courses, and supervises the work of four CFIs and a graphic artist for all the King Schools aviation courses. Those courses include Sport, Private, Instrument, Commercial and ATP ground school; Sport, Private, Instrument and Commercial practical test preparation; Flight Instructor refresher courses for fixed wing and helicopter; and numerous topical flight training courses. Rich is also the Wings Program coordinator for King Schools, where he validated 1,500 requests for Wings credit in the past 12 months. Rich formerly served as a USAF fighter pilot and instructor, where he logged 1,000 hours in the F-4 and 1,000 hours in the F-15. He retired with the rank of Lieutenant Colonel, having earned the Distinguished Flying Cross, five Meritorious Service Medals, eleven Air Medals, and three Combat Readiness Medals. He flew 323 combat sorties in the F-4 in Thailand, and has been stationed at George AFB (Calif.), Nellis AFB (Nev.), Luke AFB (Ariz.), McChord AFB (Wash.), as well as posts in Germany and Italy. Rich is a member of the San Diego Airports Aviation Advisory Committee. He regularly teaches Private Pilot ground school courses for the San Diego Air & Space Museum at the General Atomics Aeronautical Systems campus, where he teaches three classes a year. He is an active pilot and instrument flight instructor. He is also a trained aviation accident investigator, and is frequently called upon as a subject matter expert by local media to comment on aviation mishaps. Rich holds Airline Transport Pilot, Instrument Flight Instructor, and Advanced Ground School Instructor certificates. He earned a Bachelor of Science degree in Transportation and Public Utilities from the University of Arizona, and an MBA from Golden Gate University, He has graduated from the Safety Program Management and Aircraft Accident Investigation programs at the University of Southern California. rich.martindell@earthlink.net. Nominations and applications for 2017 General Aviation Awards will be accepted starting July 1, 2016. If you are acquainted with a CFI, AMT, Avionics Tech or FAASTeam Rep whom you think might be deserving of an award at the local, regional or national level, we encourage you to nominate him or her. If you are an aviation professional with a distinguished career in one of these categories, we encourage you to apply. For more information about nominating or applying, please click here.